(CNN) - Republican Gov. Chris Christie made clear on Monday what he thinks of the political fight over an Islamic community center and mosque set to be established a few blocks from New York's Ground Zero. 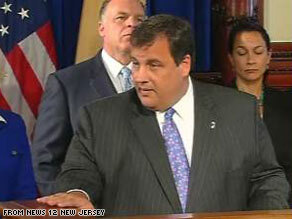 "What offends me the most about all this is that it's being used by a political football by both parties," Christie told reporters. "[It] just further drives people apart, and creates divisions, and I think that's bad for our country." "We have to acknowledge, respect and give some measure of deference to the feelings of the family members who lost there loved ones there that day," the New Jersey governor said. "But it would be wrong to so overreact to that, that we paint Islam with a brush of radical Muslim extremists that just want to kill Americans because we are Americans. But beyond that...I am not going to get into it, because I would be guilty of candidly what I think some Republicans are guilty of, and the President is now the president is guilty of, of playing politics with this issue, and I simply am not going to do it." 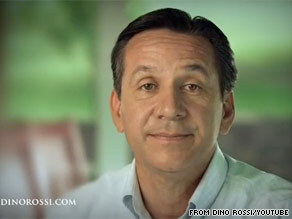 Republican Senate candidate Dino Rossi is expected to emerge victorious from his primary Tuesday in Washington state. (CNN) - Voters in Washington state and Wyoming hold primaries Tuesday, with the Senate contest in Washington and a battle for the open Wyoming governor's seat the most closely watched races of the day. In Washington, Democratic Sen. Patty Murray and Republican candidate Dino Rossi are expected to emerge from a crowded primary field, setting up a November showdown. Under the state's system, the two candidates who receive the most votes regardless of party affiliation move on to the general election. Voting has been underway for two weeks, with Washington primarily a mail-in ballot state. In many ways, Murray and Rossi have already begun their general election campaigns, focusing their attacks on each other. Polls show a close race in the fall if they both advance. (CNN) - Republican congressional candidate Ben Quayle put out a television ad last Wednesday in which he stared into the camera and solemnly declared that "Barack Obama is the worst president in history." On Monday, Quayle lined up nine reasons why, in his opinion, he believes Obama is the worst. Included on the list are the assertions that Obama has "destroyed more wealth than any human being in history" and that he has "divided America along racial lines in destructive ways." The list did not include any evidence to back up Quayle's claims. 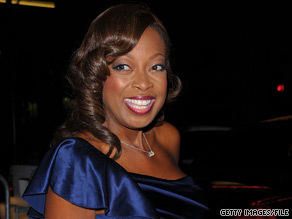 Star Jones, formerly a host on the daytime talk show 'The View,' recorded a robocall for Florida Democratic candidate Jeff Greene. (CNN ) - While former President Bill Clinton is in Florida campaigning for Rep.Kendrick Meek, Meek's opponent in the state's Democratic Senate primary, billionaire real estate investor Jeff Greene, is getting help from another big name. Lawyer and television personality Star Jones–formerly a host on the daytime talk show, "The View"–recorded a robocall for Greene that's going out to Florida households starting Monday. "My friend Jeff Greene is unbeholden to any special interest group, corporate entity or government lobbyist," Jones says in the call. "And as an attorney that means something to me." Florida Gov. Charlie Crist is refunding money donated by the state's indicted former party chairman. (CNN) - Republicans in Florida are pouncing on Gov. Charlie Crist's decision to refund campaign contributions from indicted former state GOP Chairman Jim Greer, a longtime Crist ally charged with stealing money from party coffers. In a letter to the governor dated August 5, Greer asked that $9,600 worth of contributions to Crist's Senate campaign be returned so he could help pay for his legal fees. 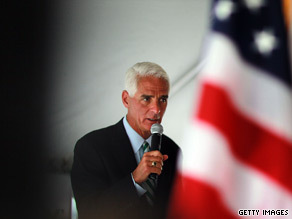 The Crist campaign on Monday agreed to do so after the letter was reported by the St. Petersburg Times. But Crist's decision comes after an earlier refusal to return money to Republican donors who sought refunds when the governor bolted the GOP and embarked on an independent run. Crist's Republican critics are crying foul over the move, but they're also pleased to once again have Crist sharing the spotlight with the scandal-tainted Greer. 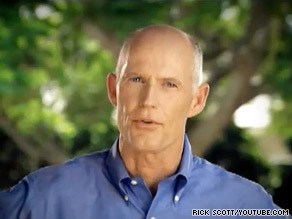 The campaign of Crist's GOP opponent Marco Rubio immediately took a shot at the governor's decision. "It should surprise no one that despite refusing to return a single penny to Floridians who gave to him in good faith, Charlie Crist wasted no time in refunding money to his indicted political confidante," said Rubio spokesman Alex Burgos. Washington (CNN) - The long-running federal criminal investigation of former House Majority Leader Tom DeLay has been closed, and no charges will be brought, DeLay said Monday. "I'm pretty thrilled; I'm very happy for my family, they don't have to go through this anymore" DeLay told CNN's Wolf Blitzer in an interview for The Situation Room. The Justice Department, as is standard practice, declined any comment on the closing of the probe by its Office of Public Integrity after six years. Virginia Gov. Bob McDonnell has become a key fundraiser for the GOP. Washington (CNN) - Potential presidential candidates like Sarah Palin and Mitt Romney have grabbed headlines this year for handing out pivotal endorsements in key midterm races, but Virginia Gov. 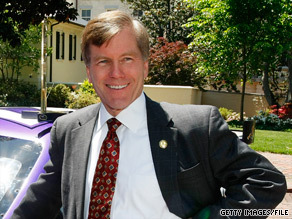 Bob McDonnell has quietly become one of the most sought after attractions on the GOP money circuit. McDonnell is headlining a fundraiser at Altria headquarters in Richmond on Monday for Texas Gov. Rick Perry, who faces a difficult re-election challenge from former Houston Mayor Bill White. Next month, he'll team up with Lt. Gov. Bill Bolling to raise cash for Marco Rubio, Florida's Republican candidate for Senate. In all, aides to McDonnell say that by mid-September, McDonnell will have held 15 fundraising events for out-of-state candidates. "The campaigns are coming to us," McDonnell's political adviser Phil Cox told CNN. 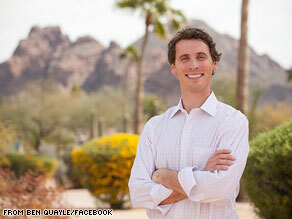 "What the out-of-state candidates are seeing is, he ran a model campaign in a competitive state. He is providing an example for how Republicans can govern by balacing the budget though cutting spending and not raising taxes, which is in marked contrast to what's coming out of D.C."
Among those who have already tapped into McDonnell's fundraising muscle: gubernatorial candidates such as Tom Corbett in Pennsylvania, Sam Brownback in Kansas, Brian Dubie in Vermont and Bob Ehrlich in Maryland. 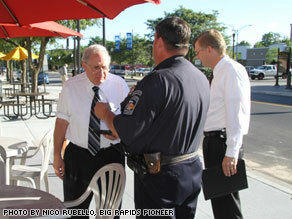 Michigan Sen. Carl Levin was hit in the face with a pie at an event Monday. (CNN) - Michigan Sen. Carl Levin may have been expecting a friendly town-hall audience in Big Rapids, Michigan on Monday, but the Armed Services Committee Chairman instead found himself at the receiving end of a pie in the face, according to the Detroit News. Levin was speaking before the Mecosta County Democratic Party at Pepper's Café and Deli when a man who identified himself as a student scolded Levin over the U.S. war policy, the Detroit News Reports. Several minutes a later, a woman who was with the student walked up to Levin and hit him in the face with a pie, Sgt. Jeff Jennings of the Big Rapids Police Department confirmed to CNN. The woman has been arrested but is yet to be arraigned, Jennings also said. Florida gubernatorial candidate Rick Scott launched a statewide television ad criticizing President Obama's view on plans to build a mosque near Ground Zero. (CNN) - The controversy swirling around President Obama's support for a proposed mosque near Ground Zero is already promising to be a potent issue for Republicans this campaign season. Early proof came Monday, when Florida gubernatorial candidate Rick Scott launched a statewide television ad castigating Obama for backing the mosque plan. Scott, a billionaire former health care executive, is engaged in a nasty primary fight against Attorney General Bill McCollum, with both Republicans vying for support from the party's conservative base.